Looking for a list of hedge funds in Chicago? Our IL Hedge Fund List contains more than 230 hedge funds and private equity firms in Illinois, including Chicago. Check out our Ilinois Hedge Fund List today and find over 230 hedge funds in Chicago and throughout Illinois. Looking for a private equity job in Chicago or elsewhere in Illinois? There are about 230 hedge funds and private equity firms in Illinois and 45 are actively hiring new employees. Below is a partial list including the first 10 of the more than 45 private equity and hedge funds with open jobs in Chicago, IL. For a complete list of hedge funds in Illinois that are hiring new employees, please see our IL Hedge Fund / PE List. Blue Vista is a private equity firm based in Chicago, IL. They invest in real estate and real property across the US. Blue Vista has direct investments representing $5.7 billion in capitalization. You can find the latest job openings at Blue Vista on their career page. The above list of companies with open private equity jobs in Chicago consists of just the first 10 of more than 45 hedge funds and private equity firms that are currently hiring. For a complete an up-to-date list please see our IL Hedge Fund / PE List. This list contains more than 230 hedge funds and private equity firms in Chicago and throughout Illinois. 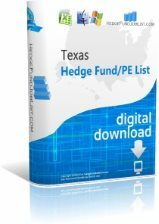 Each listing contains detailed information on each fund including contact info, top executives and HR personnel, company and HR emails, AUM, and of course hiring status. The IL Hedge Fund / PE List is truly an indispensable resource for finding a private equity job in Chicago! Wolverine Asset Management is a hedge fund company based in Chicago, IL and is led by its CEO, Christopher Gust. Their primary investment strategy is Arbitrage. Wolverine Asset Management has $5522.639454 million in assets under management (AUM). The company was founded in 1994. WMG Capital is a private equity company based in Chicago, IL and is led by its Managing Director, Mark Hauser. Their primary investment strategies/sectors are Business Services and Technology. WMG Capital has 7 employees.